Dynasty Impact: Ebron, the best tight end in the draft, finally fills the black hole that is the Detroit Lions tight end position. Ebron will immediately garner targets and should elevate Matthew Stafford’s game. The pick should not have an impact on Calvin Johnson or even Golden Tate but Joseph Fauria dynasty owners have to be disappointed. 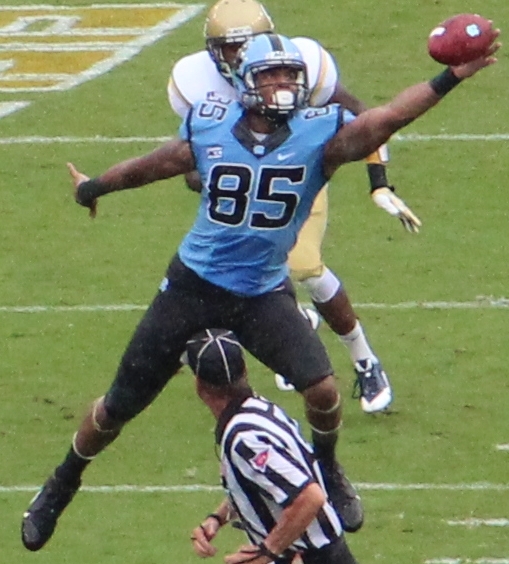 Ebron will immediately be the top pick in dynasty mock drafts, especially in PPR leagues. This entry was posted in NFL Draft and tagged 2014 nfl draft, calvin johnson, detroit lions, dynasty fantasy football, eric ebron, golden tate, joseph fauria, matthew stafford. Bookmark the permalink.